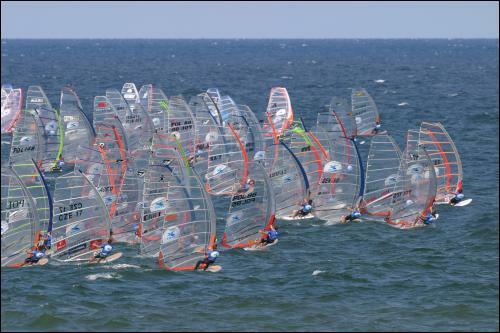 For those of you who have absolutely no idea about what I’m talking about, Formula windsurfing involves HUGE kit. Boards are around 230cm in length and roughly 1m wide with 70cm fins. Rigs go up 12.5m and often only as small as 9m – at this moment in time you may already be put off but read on and find out why it’s not a barmy option. At this stage I’m going to introduce myself – They call me Bond…….Chris Bond and I’ve been windsurfing for 26 years. Up until six years ago I had spent much of my time as an instructor abroad. I only used small kit and was convinced that you’d never catch me on a sail bigger than a 6m, let alone on a board that resembles a barn door! However, on my return to this country I seemed to spend a lot of my time sat on the beach praying for more wind. So the options were: remain sat on the beach and get fat, take up kite surfing or get bigger windsurfing kit. I took the latter, have not looked back since and finished 3rd in the UK series last year. It’s slow and boring and involves lots of pumping – WRONG. Boards can get close to 30knots and racing only takes place in planing winds, so no real need to pump. It’s ridiculously expensive – WRONG. Whilst brand new equipment is pretty pricey (isn’t it all??) there is a large second hand market that can get you on the water without breaking the bank. You will only need one board and some people only have the one sail. You have to have an amazing high ability in order to do it, especially compete – WRONG AGAIN. To sail Formula is pretty straight forward and falling off a 1m wide board is pretty tough. Racing just takes a little practice and there is an entry level course laid out at all events for newcomers. Formula get’s you on the water more – some people can get Formula kit planing in as little as 5knots of wind!! Most though are planing from 8-9knots upwards, so just think of all those summer days you can be out there blasting up and down as opposed to being bored on the beach. Formula gets you fitter – more time on the water coupled with using big rigs will soon have you looking like Laird Hamilton…..well almost. 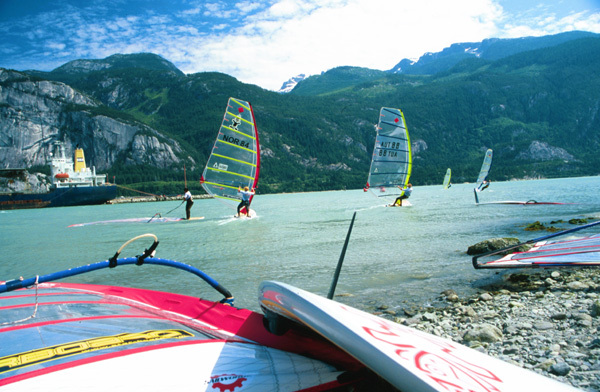 Formula improves all aspects of your windsurfing – let’s face it, once it’s blowing 20 knots most would opt to return to small kit. When you do this you will not believe how small your sails will feel and you’ll be throwing them around like never before. Your skill level will improve – sailing alongside others, especially those of higher ability, will inevitably raise your level especially if you have a competitive edge to your personality. Also, advice is on hand whether it’s to do with rigging or technique. The social scene is amazing – once racing is over out come the BBQ’s, music and the odd beer. The days racing is scrutinised along with crashes near misses etc. Racing takes you to all sorts of new sailing locations around the country and even around the world should you wish. So, what kit do you need? For boards it’s straight forward as they don’t tend to differ that much from manufacturer to manufacturer – I would not recommend getting anything over five years old though. To start off with just get the one sail depending on your weight – 10m is often a good size but if you’re used to sailing big slalom rigs go straight for an 11m. If you weigh less than 75kg maybe try a 9m. If you come to a UKWA event kit can be lent to help you choose your ideal combination. The UK race scene comprises of two series; the Inlands and the Cup Series. Racing takes place around a box course involving both upwind and downwind sailing. Formula boards plane really quickly upwind and can go super deep downwind. Kit wise most people who have been Formula sailing for a while will have one board and usually three sails. However, I did my first two seasons with just one sail – an 11m. 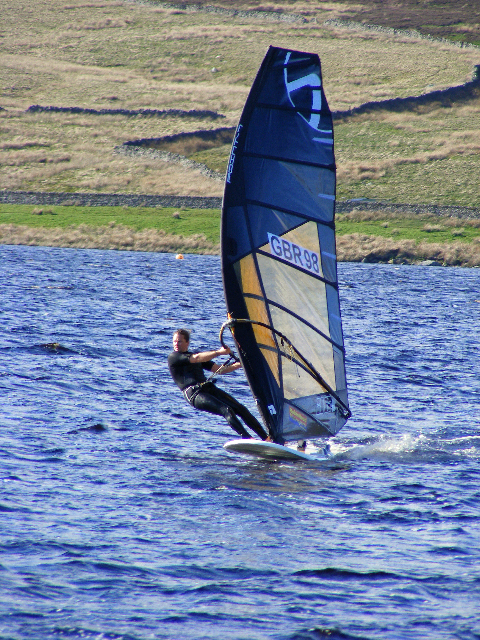 Chris Bond is sponsored by Point 7 sails, Robin Hood Watersports and Denby Campervans. Check out more on Formula on Boards.